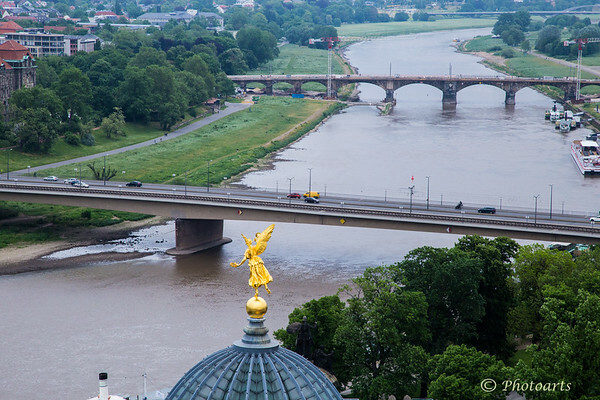 "A Leap Into The Elbe"
In the city of Dresden, Germany, where architecture design is debated and cared for, this golden statue atop the complex of buildings that belong to Dresden Academy of Fine Arts appears to leap into the river Elbe as viewed from top of Kuppelaufstieg Frauenkirche Cathedral. The aerial angle captures the river as it twists its way through the city. Good eye to catch this nice POV! Wonderful capture ! The statue is a nice bonus !